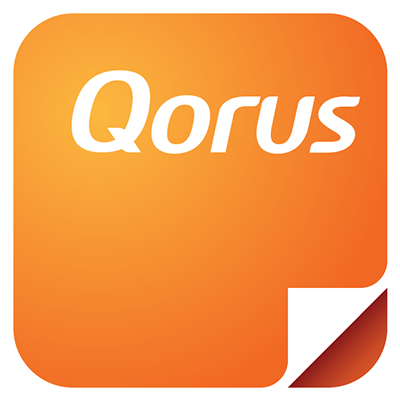 If you have subscribed to the Qorus Author plan, or if you are currently trialing the full version of Qorus, then you can add users to Qorus in the Qorus Management Portal. Before you begin, you should know that you'll need to belong to the Admin role in Qorus, and that the colleagues you add to Qorus, will need to be part of your Office365 subscription before you can add them. To get started, open the Management Portal and select (1)User Management from the left navigation pane. If (1)User Management is not visible on the left navigation pane, you may have to click on the (2)dropdown arrow next to 'Settings', to expand the view. Click on the (1)Add New User button. In the (1) Name field, enter the first three characters of the user's first name or last name. After the third character is entered, Qorus will automatically start searching your Office365 user directory and return all matching users. From here it is easy to select the (2) Office 365 user that you wish to add to Qorus. Now that we have selected the new user, you can go ahead and expand the 'time zone' field by clicking on the (1) drop down arrow, then choose the (2) relevant time zone for the user. All that's left to do now is to select the appropriate (1) Qorus role from the 'Assign Role' drop down menu and click (2) Save. That's it, the new user will automatically receive a welcome email with all the necessary information to get him/her started on Qorus. Click on the (1)Add Multiple Users button. On the next page, use the 'Available Users' column on the left to browse your Office365 user directory, and add them by simply clicking on their (1) names. All the selected users will appear in the 'Selected Users' column on the right. If you make a mistake, simply click on the (2) checkbox next to the users name to select them, and then click on the (3) left arrow to move them out of the 'Selected Users' column. By default, users will be added to the Admin role. To specify a different role, like 'Standard' or 'Guest', click on the (1)check boxes next to the relevant users' names, and then on the (2)Assign Role drop down menu. Alternatively, use the (3)Select All checkbox if you'd like to assign the same role to all the users you're adding. When you're ready, click on the (1)Add button. The users you've added will receive a Welcome Email with links to download the add-ins and get started with Qorus.